Probably nobody has had such an up-close-and-personal perspective on Islamist intolerance and terror as Zineb El Rhazoui. With that insight and experience came over 7,000 death threats on Twitter. She survived Morocco’s post-Arab Spring crack-down and the attack on Charlie Hebdo, but now she lives under constant guard, much like Salman Rushdie in the months after Iranian clerics issued their fatwa against him. Yet, El Rhazoui continues to speak out at rallies, in media appearances, and throughout Vincent Coen & Guillaume Vandenberghe’s one-hour documentary, Nothing is Forgiven (trailer here), which screens during the 2018 Margaret Mead Film Festival. Culturally and aesthetically, El Rhazoui identified with her generally leftwing colleagues at Charlie Hebdo, but she also shared their iconoclastic tendencies. Having experienced censorship first-hand in Morocco, she took the ideals of freedom of thought and expression quite seriously, even before 2015 assassinations. 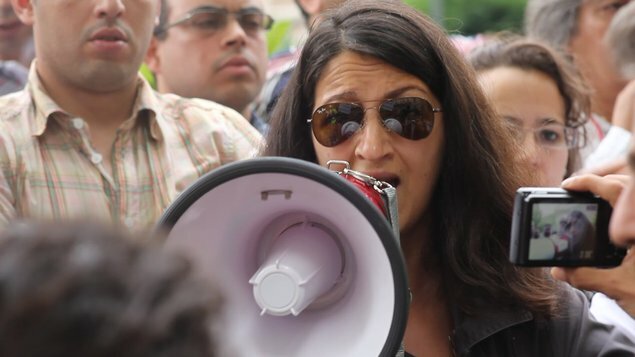 In response, the Muslim-raised El Rhazoui has become a vocal critic of Islamist fascism, as well as terms like “islamophobia” that she (convincingly) argues have been popularized to silence detractors of terrorism, such as herself. However, this is an exhausting and often lonely existence for El Rhazoui. For months, her police protection moved her to a different hotel room each night. At least she is now somewhat settled in a long-term safe house. Those are tough questions, but fair questions. El Rhazoui is risking a lot to defend the values of free speech and free inquiry. Coen & Vandenberghe definitely show the toll all the stress has taken on her, but the film also presents a sliver of hope. It is definitely a profile in courage for the age of terrorism. 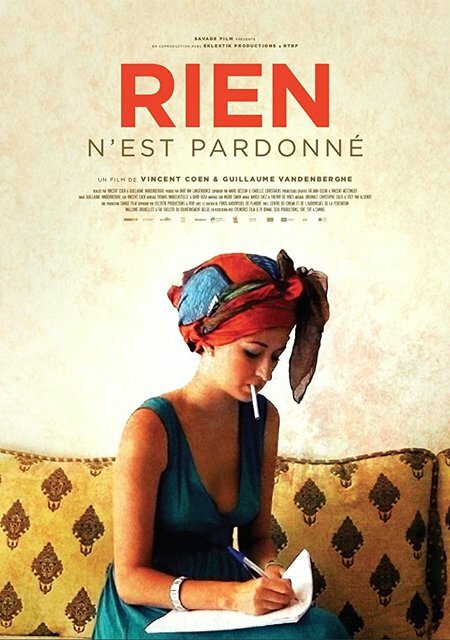 There is a lot of important, eye-opening stuff here, but it works as a film, because El Rhazoui is so down-to-earth and compelling. Very highly recommended, Nothing is Forgiven screens Saturday (10/20) as part of this year’s Margaret Mead Film Festival, at the American Museum of Natural History.